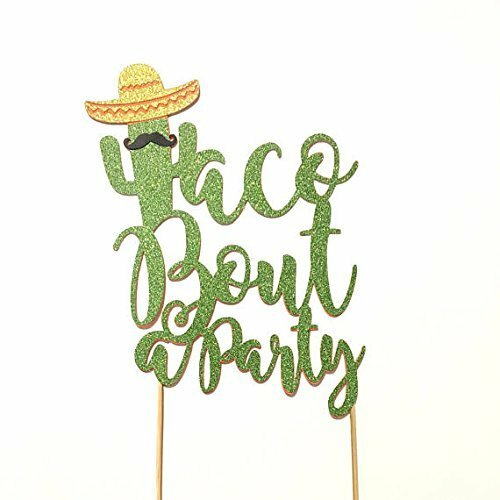 Not everyone can afford a holiday in Mexico, but everyone can organize a party in the Mexican style at home. 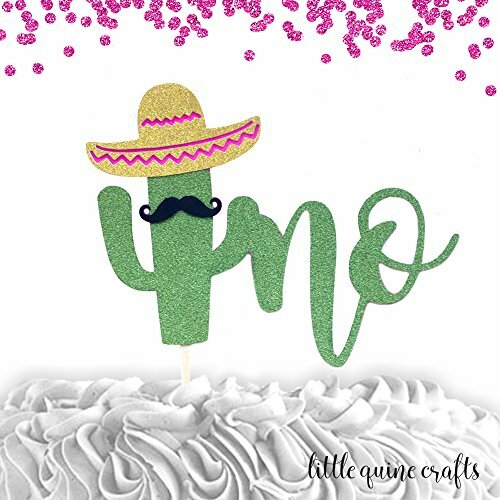 For this, you need cacti, cakes, cocktails, and of course a lot and a lot of sombreros. 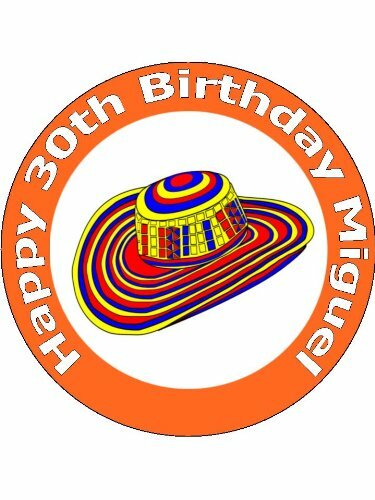 For your cake, we have a magnificent set of 12 hats sombrero. 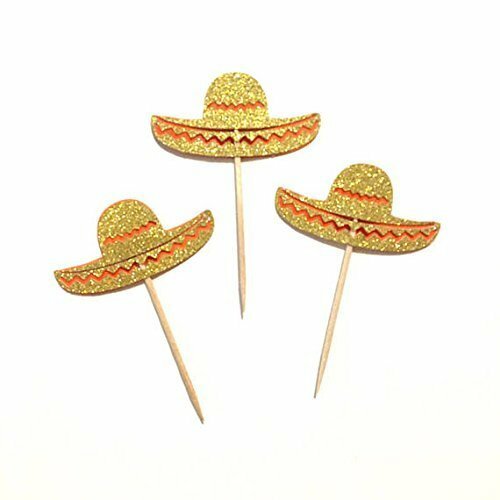 This bright golden sombrero will shine on your festive table. 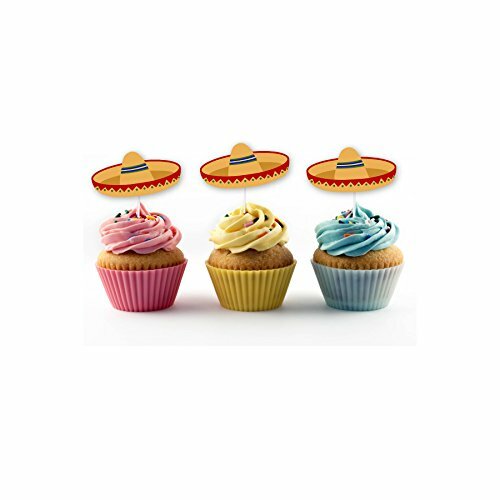 Set 12 X Mexico Mix Mexican Sombrero consists of 12 edible stickers for the cupcake. 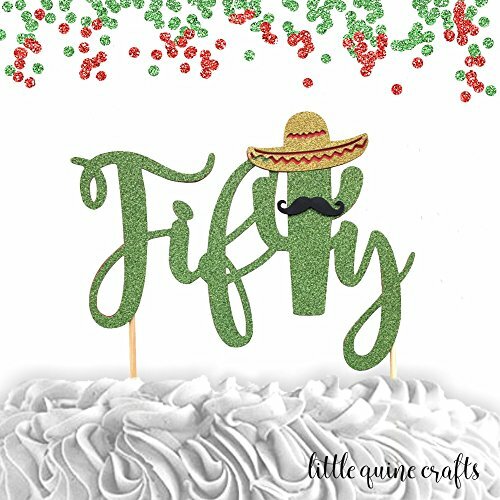 This set includes of the Sombrero, the Mexican flag, the cactus, the guitar, the Mexican in the traditional clothing and the maracas. 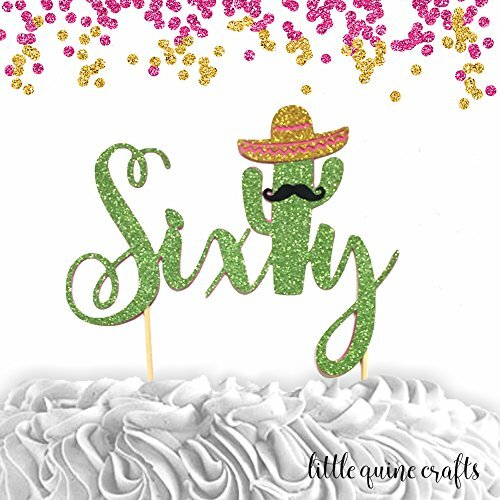 For a birthday cake, we have a personalized sticker with a picture of a sombrero and the name and age of the birthday boy. 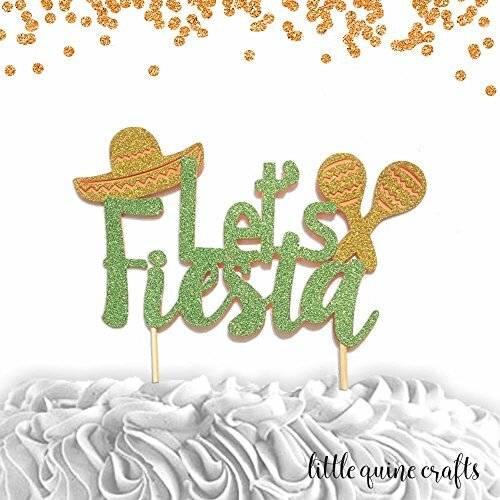 If you are organizing a big party for a large number of people, then the Fiesta Cupcake Wrappers With Picks kit will suit you. 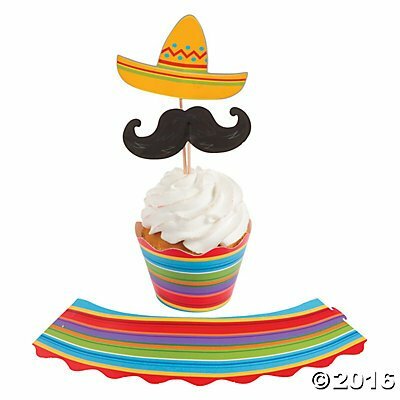 This is a set that consists of toppers in the form of hats and mustaches, as well as baskets for the cupcake. 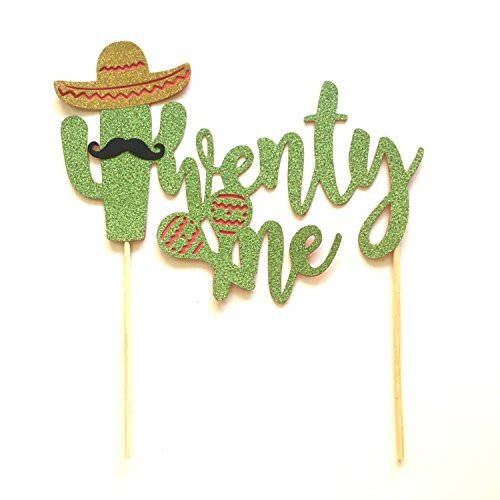 We also have 24 good the same stickers as the sombrero. 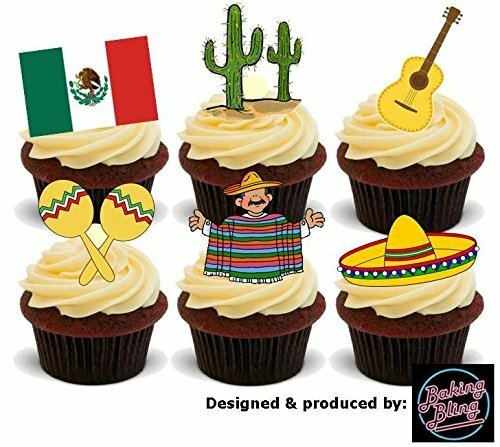 They are suitable for cupcakes. 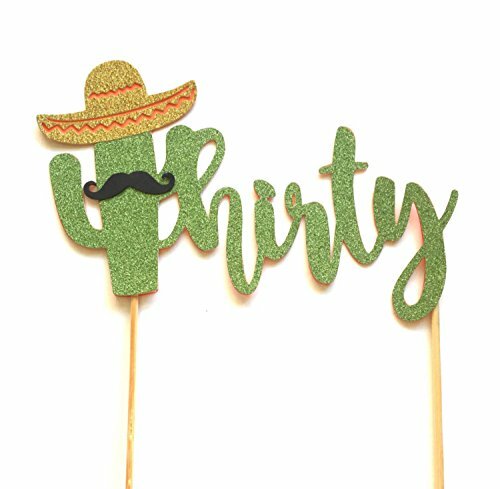 If your friend turns 50 years old, select the Mustache Sombrero Cactus Topper, this bright cactus with a mustache will surely please everyone. 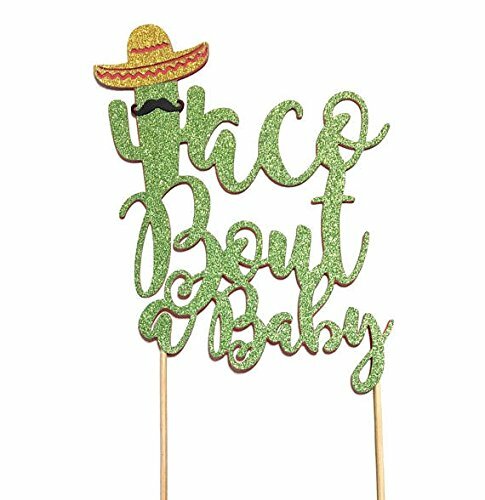 The topper with the inscription Taco Bout a Party will look not less staggeringly than on the celebratory cake. 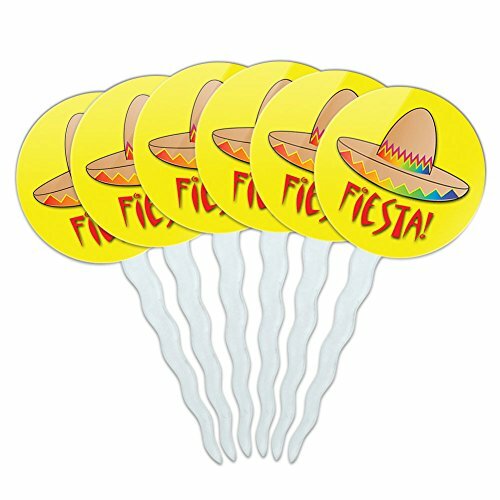 Our toppers will help to organize a bright party. 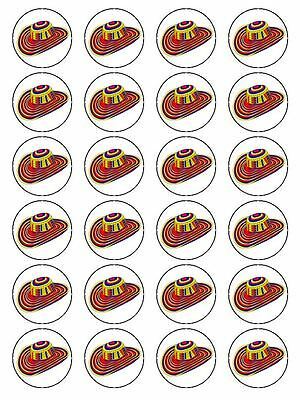 You will save time on decorating dishes. 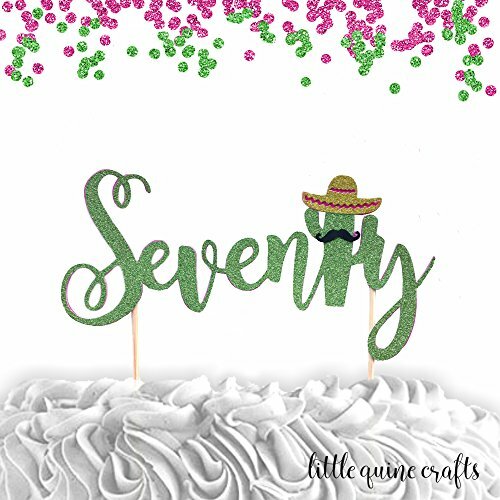 In this section, there are toppers for cakes, cupcakes, and muffins. 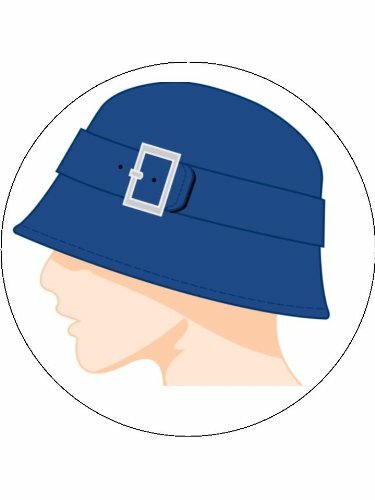 We guarantee the quality of our products and are confident that our toppers will help you organize an unforgettable holiday for your guests.